AirplaneGeeks 331 The Good, The Bad, and The TSA - Airplane Geeks Podcast - The weekly audio podcast that explores and expands your passion for aviation. How the TSA treats a man marked as a terrorist, an inside job smuggling guns on an airline, airport security concerns, a former Korean Air executive arrested, United and Orbitz sue over the “hidden city” ticketing strategy, and an AirAsia QZ8501 update. After being convicted of releasing animals from fur farms in 2005, Peter Young was labeled a “terrorist” by the TSA. Since then, flying has been quite interesting for Peter. Peter has since experienced all manner of “special treatment” from the TSA. He’s been refused entry onto planes, been tailed through airports, and told his Starbucks coffee might be a bomb. In October 2014, Young launched The Jetsetting Terrorist blog, to document his often hilarious but never boring experiences with the TSA as he travels around the U.S. marked as a “terrorist.” Follow Peter on Twitter as @flyingterrorist. Sonar has picked up large objects, the flight was not certified to fly on that day, why ATC didn’t authorize an increase in altitude, and why pilots don’t turn back. Heather Cho, the former VP of Korean Air’s in-flight service and the daughter of the Korean Air Chairman, has been arrested. The Ministry of Land, Infrastructure and Transportation investigation determined that Cho’s behavior violated the Aviation Safety and Security Act, which bans any behavior that disturbs airplane operation. In December, a former Delta employee was arrested in New York after allegedly carrying 16 firearms and ammunition in a backpack on a Delta Air Lines flight from Atlanta. This was after a month long investigation. A Delta baggage handler with access to secure airport areas brought the firearms into the terminal and transferred them to the man, who had already gone through the regular airport security checks. Airport security focuses on passengers, but baggage handlers and other airline employees with access to restricted areas could be bigger threats. 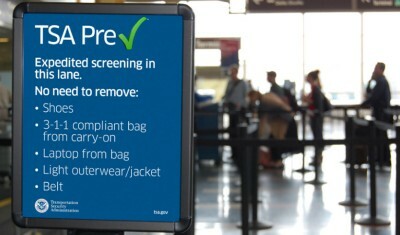 More than 740,000 travelers are now enrolled in the TSA’s “Precheck” program, A survey by Harris Interactive shows that younger people are more worried about lax security than older travelers. Aktarer Zaman, founder of the airfare advice site Skiplagged.com, is being sued by United and Orbitz for providing “unfair competition” and promoting “strictly prohibited” travel. Zaman’s website helps air travelers find “hidden city” tickets. Zaman is raising funds to pay for his legal fees at GoFundMe. 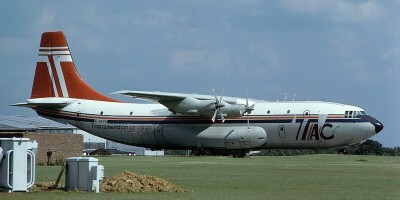 The Shorts Belfast, a four-engine turboprop freighter produced by Short Brothers. Always, a 1989 film directed by Steven Spielberg, starring Richard Dreyfuss, Holly Hunter, and John Goodman. The film introduced Brad Johnson and featured a cameo by Audrey Hepburn. The boys are back for 2015 and wondering what happened to last week? Something about holidays and memos, it would appear! In this Desk, Steve and Grant cover the WA Police Air Wing being grounded due to pilots quitting, the last flights of Qantas 767s (well, sort of) and regional airline SkyTrans closing the doors but in the most controlled and well managed method we’ve ever seen! Juan Fernandez provides his second report from Antarctica, this time on the Pegasus crash. 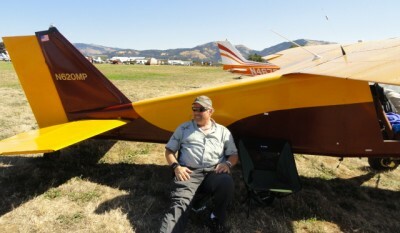 Visit AirplaneGeeks.com/ice for more information and some great photos. This entry was posted in Episodes and tagged Airport security, Korean Air, QZ8501, terrorism, TSA, United-Continental on January 7, 2015 by maxflight. Terrible guest pick with Peter Young I just couldn’t finish out the episode. Not sure who dug this guy up but having convicted felons who feel mistreated by the TSA isn’t something that’s enjoyable to listen to and I don’t feel empathy for him. Our intent wasn’t that you feel empathy for him. Rather, it was to give you some insight into how the system works. If someone asks, “Are you interested to know what terrorists face from the TSA and the airlines?” wouldn’t you say yes? It doesn’t matter if you think the guy is a terrorist or not, or if you agree with his politics or not. The TSA considers him a terrorist. We learned a little something about how the TSA and the airlines treat people who ar considered to be terrorists. The better conversation to be having is, “What do we think about how the TSA treats terrorists? Do they go too far? Do they not go far enough?” To me, those are good questions for us to consider. I’ll be honest. I had zero qualms about having this guest on the show. Some of the co-hosts felt a bit apprehensive, even suggesting that we would get a lot of feedback like JJ’s. Want to know how much feedback like JJ’s we’ve received? One. Knowledge is good. That’s what we aim to provide with this podcast.